Doc McStuffins is everyone's favorite toy doctor, and now your little one can dress up just like her using the Doc McStuffins Doctor's Dress Up Set! This set includes Doc's signature white lab coat, a combination shirt and skirt, polka-dot leggings, a headband, and a toy stethoscope! Available in three sizes: 3-4T, 4-6X, and 7-8. 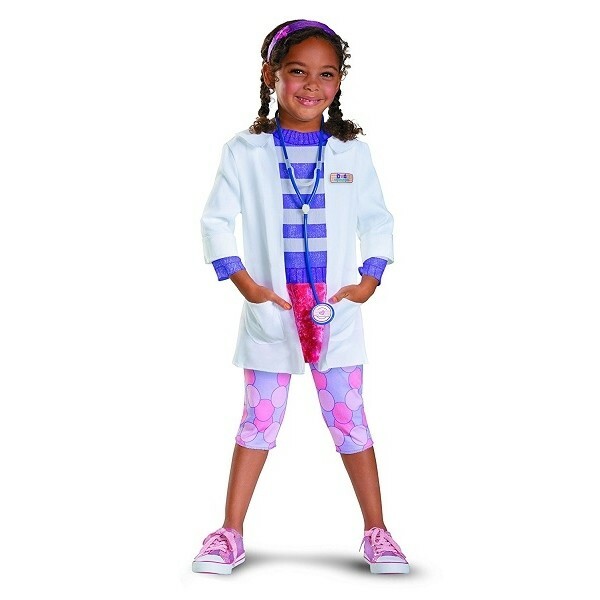 For more products featuring Doc, visit our Doc McStuffins Collection.